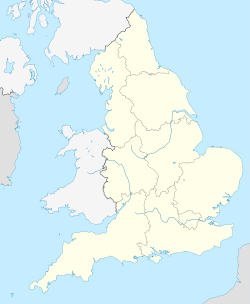 Since the 2011 census, Luton has had a white British population less than 50%, one of three towns in the United Kingdom along with Leicester and Slough. Luton has a majority white population, when non-British white people such as the Irish and Eastern Europeans are included. 81% of the population of Luton define themselves as British. ^ "Saint Marys Luton Church Architecture". bedsarchives.bedford.gov.uk. 2016-08-05. Retrieved 2019-04-08. ^ "National Rail Enquiries - Station facilities for Luton". www.nationalrail.co.uk. Retrieved 2019-04-10. ^ "National Rail Enquiries - Station facilities for Leagrave". www.nationalrail.co.uk. Retrieved 2019-04-10. 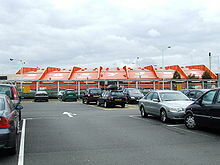 ^ "National Rail Enquiries - Station facilities for Luton Airport Parkway". www.nationalrail.co.uk. Retrieved 2019-04-10. ^ "Grant Palmer". www.grantpalmer.com. Retrieved 2019-04-10. ^ "Delayed busway opening announced". 2013-08-23. Retrieved 2019-04-10. ^ Customer services, Town Hall (2012-03-21). "Taxi and private hire licences". www.luton.gov.uk. Retrieved 2019-04-10. ^ "Shop & Eat | Luton Indoor Market". Retrieved 2019-03-20. ^ "Town twinning". Luton Borough Council. Archived from the original on 16 May 2008. Retrieved 16 June 2008.